Timber Pines Retirement Community in Spring Hill, Florida, just north of Tampa Bay, has many appealing reasons to recommend it. However, there are also some possible issues with this community that prospective homeowners will want to know about. In fairness, I want to present both sides in this article. I have also included a comment that was left by a current resident. In addition, the homes in this community are very reasonably priced. Currently, there are a number of lovely single-family homes in the $75,000 to $150,000 price range. It sounds like the perfect place to live. Right? Keep reading. The area around Tampa, Spring Hill, and within the gates of Timber Pines have reported a number of sink holes. These are not the dramatic sink holes that you see on the news that have swallowed up entire homes are neighborhoods. These sinkholes are deep underground. However, they could still be a serious problem. We have relatives who live in the community. They have reported to me that there are weeks when dump trucks drive by their home all day. The dump trucks contain a special filling material that is pumped into the ground underneath the homes in order to fill in the underground voids and provide underpinning to the homes. Our relatives had 12 dump trucks of this filling material pumped into the ground underneath their home. Other people they know have required many more truckloads of material. The real estate information site, Zillow, also had a contributor point out that there is no true warranty on either this underpinning work or on the repairs that have been made to the home. In addition, if you purchase a home that has been repaired, it now has a pre-existing condition that may not be covered by your insurance company. Therefore, if your home begins to crack again from another sinkhole, your insurance company may not cover it. If the house has not been repaired, many sellers are unwilling to spend the $5000 necessary to have the ground under their home tested, so you won't know if the home has a sinkhole under it until you already own it. In addition, some insurance companies will no longer insure against damage from sinkholes, even if it has not occurred under that home in the past. On the other hand, one resident of Timber Pines who commented on this article (you can see their comment below), pointed out that there have been no sink holes in the community beneath the golf courses, roads or common areas. This could indicate that some homeowners have overreacted to the possibility of sinkholes. Whatever your thoughts on the topic, it is important that you are aware of the issue before buying a home there.
" I am a new resident in Timber Pines. (June 2015) and my property was a sink hole activity property that was repaired in 2011-2012. I truly believe that most of the claims of sink holes in this community were not true sink holes. During a certain period of time a lot of claims were being made that were not true sink holes and the insurance companies fell for it. Think about it….there have been no reported sink holes on the roads, golf courses (4 of them), club house, lodge, pool areas etc. There are thousands of acres developed and undeveloped in this community and it seems that only the houses have reported sink holes. This raises a big doubt in my mine if all the claims were true sink holes. Sink holes don't pick and choose a certain area to open up in. With all that said, the whole state of Florida is prone to sink holes not just Timber Pines. Timber Pines is a wonderful community that is very well maintained and affordable. The golf courses are some of the best in the state of Florida." Should You Buy Property in Timber Pines, Florida? All this does not necessarily mean you should not buy property in Timber Pines. Some of the homes rent for as much as $2000 a month during the winter when the "snowbirds" come down from Canada and the Northern United States. If you purchase one of these homes for an average price of about $90,000 and rent it out, you can receive a very high return on your investment. Second home buyers may also enjoy owning one of these homes because they are so cheap to purchase. Even if this is going to be your primary residence, you may decide that the affordability of properties in Timber Pines makes buying one worth the risk. This is a perfectly reasonable decision, as long as you are aware of the potential problems. 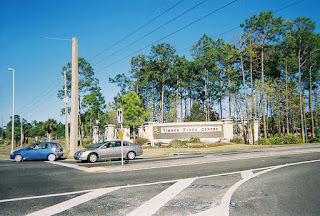 To find more information about Timber Pines, you can contact their community association at (877) 862-7767 or go online at www.timberpines.com. As you will see from their website, it is a beautiful community. If you are interested in exploring some of the other places you might retire, use the tabs or pull down menu at the top of the page to find links to hundreds of additional articles. It's refreshing to read an article about an appealing community that includes both the pros and cons. Thanks for the honest assessment. Thank you. Whenever I know anything negative about a property, I feel an obligation to pass that information on to my readers. In addition, if my readers know a negative that I have not yet heard about and, consequently, did not mention in my blog post, I really appreciate it when these readers pass this information on to everyone else in the comment section. You're comparing Ocean Reef Club in Key Largo with Timber Pines in Hernando County. Let's see, average home in Timber Pines $100K, average home in Ocean Reef $2 million. I know maybe sales might be hurting in such an expensive community, but shouldn't you be trying to steal Palm Beach buyers instead? 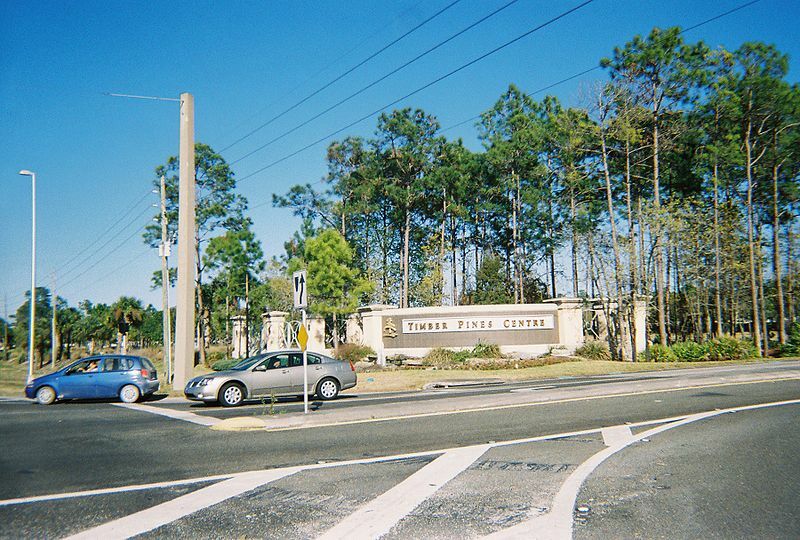 Timber Pines continues to be a high-risk area to retire ... mainly because it and much of the area around Tampa Bay is at high risk of sink holes. I continue to recommend that everyone have the property inspected carefully before making a purchase there, or anywhere nearby. In defense to the statements made regarding sink holes in Timber Pines. I am a new resident in Timber Pines. (June 2015) and my property was a sink hole activity property that was repaired in 2011-2012. I truly believe that most of the claims of sink holes in this community were not true sink holes. During a certain period of time a lot of claims were being made that were not true sink holes and the insurance companies fell for it. Think about it….there have been no reported sink holes on the roads, golf courses (4 of them), club house, lodge, pool areas etc. There are thousands of acres developed and undeveloped in this community and it seems that only the houses have reported sink holes. This raises a big doubt in my mine if all the claims were true sink holes. Sink holes don't pick and choose a certain area to open up in. With all that said, the whole state of Florida is prone to sink holes not just Timber Pines. Timber Pines is a wonderful community that is very well maintained and affordable. The golf courses are some of the best in the state of Florida. You make an excellent point about the sink holes, and I will edit this article to direct people to read your comments regarding the sinkholes. Thank you for commenting. Thank you so much. I am glad you are enjoying my blog. 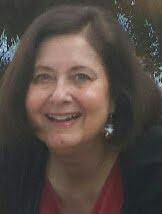 I am trying hard to provide readers with useful information and plan to continue to do so. Perhaps I should take your suggestion of adding a donate button. I appreciate the idea! Few tasks are more difficult or emotionally draining than selecting a https://threelinks.org"nursing home for a loved one. The chore is even more difficult when it is necessitated by hospital discharge, with little time to plan ahead or evaluate options. Thank you. I agree that finding senior housing, whether it is an over-55 community or a nursing home, can be difficult.